The new 5.7-inch panel is called as QHD+, and it comes with the resolution of 1440×2880 with the PPI (Pixel Per Inch) of 564. The PPI is higher than the conventional QHD LCDs. LG used the 5.5-inch QHD Panel with 538 PPI Pixel Resolution for the G4, another handset LG G5 is with the 5.3-inch QHD panel with 554 PPI and 430 nits brightness. The new display promises to provide the best and excellent responses with the company’s exclusive in-touch technology. Due to the absence of the Touch Cover Glass, it also helps in achieving the thinner and lighter smartphone. The improved outdoor visibility has been increased by 10% of transmittance and reducing power consumption by 30%. The new LCD display module is excluding the cover glass is now less than 1mm thick, and it has reduced the bezel width by 0.2mm (20%) on the top and by 0.54mm (10%) on the left and right sides when compared with the QHD LCDs. 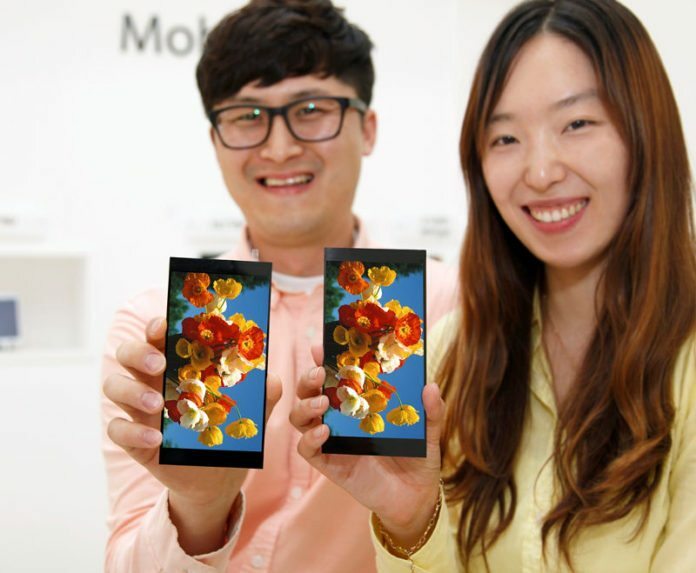 LG Display says that the new display will be used in the next LG’s Flagship smartphone this year. We can expect on the LG G6 which is set to arrive in the next month at MWC 2017.